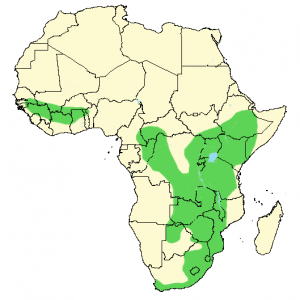 The red-lipped snake, or herald snake (Crotaphopeltis hotamboeia), is a common and widespread venomous species of colubrid snake in sub-Saharan Africa. It can reach a length of 1 m (3 ft 3 in), although 45-70 cm (1 ft 6 in – 2 ft 4 in) is the average. Color can vary between areas. It can be grey, brown and olive-green above, often with white spots that can sometimes form bars, particularly in younger specimens. 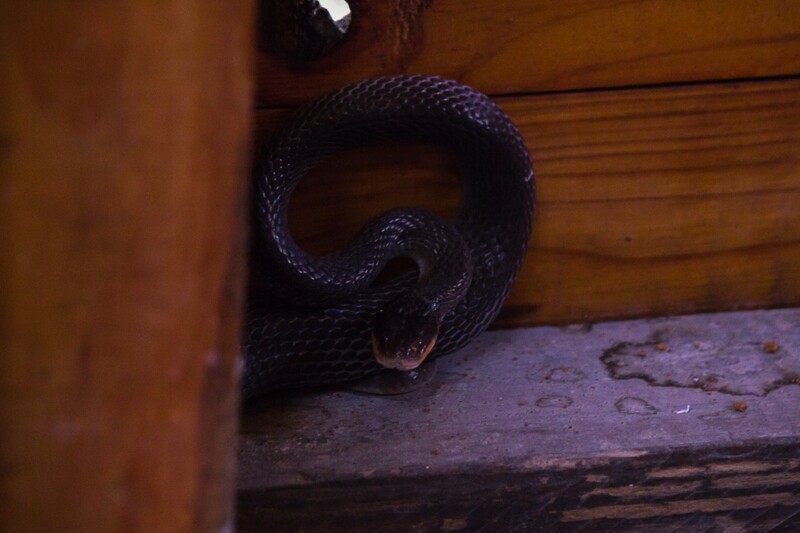 Head is darker and has large black iridescent patches stretching out behind the eyes. Upper lip is often red, but can also be white, orange, yellow and blackish. Although it is often called red-lipped, it is not the lip-color (which varies), but the black patch behind the eyes that is the giveaway for the species. 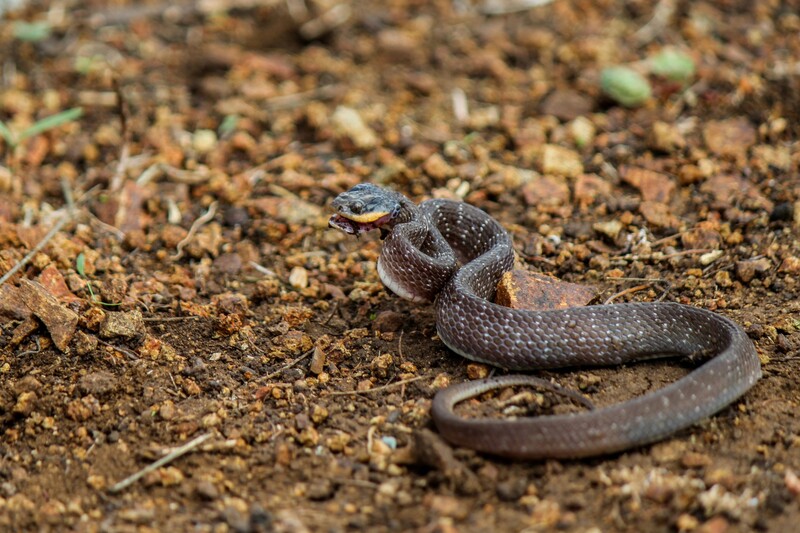 The red-lipped snake is often found in open and damp habitats, such as marshes, grasslands and moist savannahs, but can also be found in lowland forests. It can often be found in gardens, where it hides between rocks or in compost heaps. It feeds mainly on frogs, but does also catch and eat smaller lizards. Large adult individuals may eat small rodents. Hunting is often done during the night. 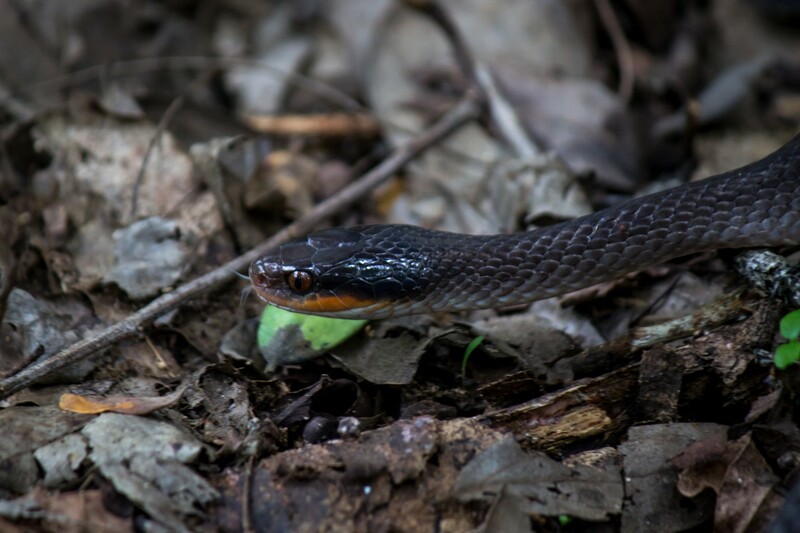 The red-lipped snake can be slightly aggressive, but is not dangerous to humans. When threatened, it will flatten its head, hiss, and strike multiple times. 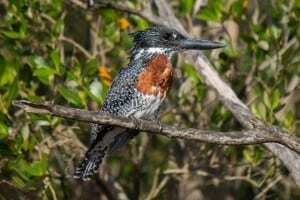 If bitten, the venom is not life-threatening, but will cause some short-term discomfort, such as headaches, swelling, soreness, itching and nausea. The female will lay 6-19 eggs and the young will measure 8-18 cm (3-7 in) when hatched. It has been recorded to live between 10 to 15 years. The red-lipped snake is widespread and is found in most countries south of the Saharan desert. Can be threatened in some areas due to destruction of prefered habitat. 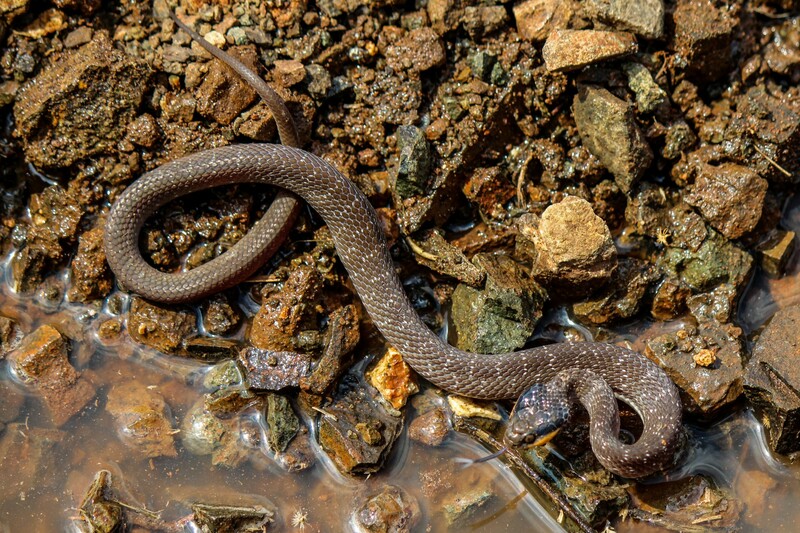 It is a common snake and the species is not threatened. It has not yet been listed on the IUCN Red List.